we do a lot of things to view the passwords hidden behind the asterisk character , we download asterisk key viewer and that too they there are separate viewers for different browsers. But now no need to do so 'cause i'll showing u a simple technique to view the asterisk passwords. 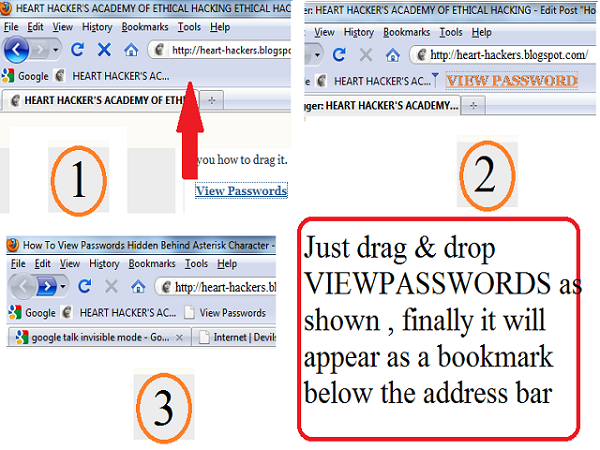 Drag the below given VIEW PASSWORD into your bookmark bar. Below given screen shot describes you how to drag it. Now visit any webpage in which login is required. For example, let’s say Gmail.com. 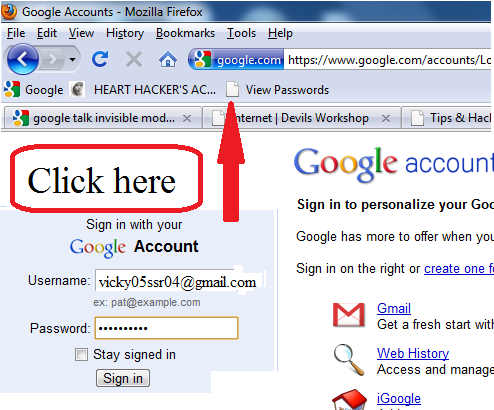 Enter your Gmail ID and password. Now click on the bookmark on the bookmark bar which you dragged in previous step..